This fall» American Woodworker is hosting the biggest woodworking event of the year: the 1995 Woodworking in Amcrica Show™. This blow-out event takes place Friday, Saturday and Sunday, November 10-12, 1995 at the Fort Washington Expo Center in Fort Washington, PA (just outside of Philadelphia). 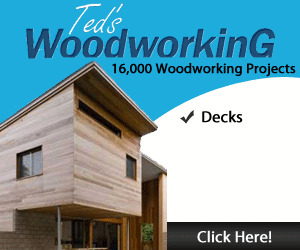 The 1995 Woodworking in America Show™ is like no other woodworking show you've seen. The emphasis is on learning, and we've put together a stellar list of expert demonstrators that reads like a Who's Who of the woodworking world—including Ian Kirby, Mike Dunbar, Frank Klausz, Toshio Odate, Mark Duginske, Ben Bacon and others. Come meet these master craftsmen and see them demonstrate their skills in hands-on workshops and seminars. They'll cover a wide expanse of woodworking topics including furniture making, joinery, carving, hand-tool and power-tool techniques, Windsor chair-making, wood turning and more. Check out our working exhibit of vintage 19th-century woodworking machines—all fired up and running on an original antique steam engine and lineshaft. Whatever your woodworking interest, you'll learn some new tricks at the Woodworking in America Show™. And don't miss a chance to meet our special guest. Norm Abram, the well-known TV host of "This Old House"
and "The New Yankee Workshop." And if you need a few things for your shop, the Woodworking in Amcrica Show™ offers a unique opportunity to check out the latest in woodworking tools and equipment and take advantage of show-special prices. More than 100 exhibitors will be selling everything from the latest in power tools to hard-to-find hand tools, to specialty hardware and supplies. Bosch, CMT, Delta, DeWalt, Freud, Garrett Wade, Porter-Cable and Woodcraft are just a few of the many quality manufacturers and retailers you'll find at the show. 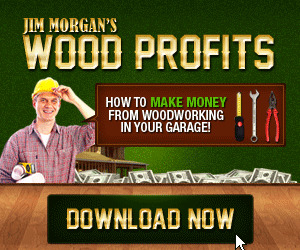 You've never seen so many woodworking tools under one roof! At American Woodworker, we've built our reputation by publishing in-depth, acccssiblc information that shows woodworkers how to do thing* right. 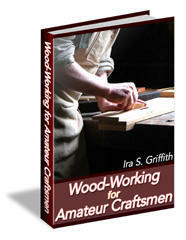 At the 1995 Woodworking in Amcrica Show™ we'll bring the pages of American Woodworker to life. Don't miss it! Bring the coupon between pages 8 and 9 to the show for a dollar oft the admission price. SHOW INFORMATION For more information about the Woodworking in America Show™, call Show Coordinator Lisa Unruh at (610) 967-8588. For travel and hotel reservations, call Rosenbluth Travel at (800) 841-8386. ADVERTISING DIRECTOR Don ScMRootR ADVERTISING REPRESENTATIVES Robert F. Izard, Dianf Waubiuich ADVERTISING PRODUCTION COORDINATOR Lisa Unruh PROMOTIONS COORDINATOR Si iiiliY DROZD PRESIDENT/MAGAZINE DIVISION John Griffin CONSUMER MARKETING MANAGER keith Foil wf ufr ASSISTANT CONSUMER MARKETING MANAGERS Lynn Hower, Chris Kiippie DEALER INQUIRIES WELCOME Sell Amikkan Wcxxavukxuc in your store, risk-free. Call (800) 845-8050 for detail*.